COLUMBUS (WCMH) — A unique program this holiday season provided a group of central Ohio students an opportunity to participate in a youth internship program. 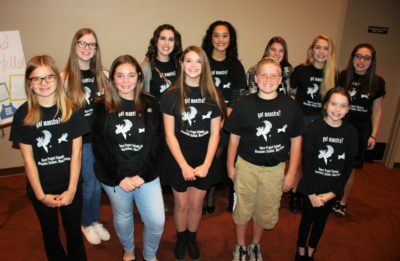 Opera Project Columbus, a non-profit arts foundation now in its sixth season, guides young operatic talent by offering a chance to work with mentors, under the direction of Maestro Alessandro Siciliani. For the first time, “Project Intern” offered 19 Marysville area students, from elementary to high school age, a rare opportunity to work with professional mentors.